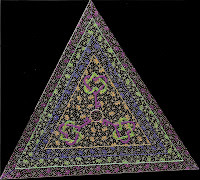 The Trilateral Tarot is a triangular shaped majors only deck. It was originally created with scraps of fabric constructed in a collage-type fashion. 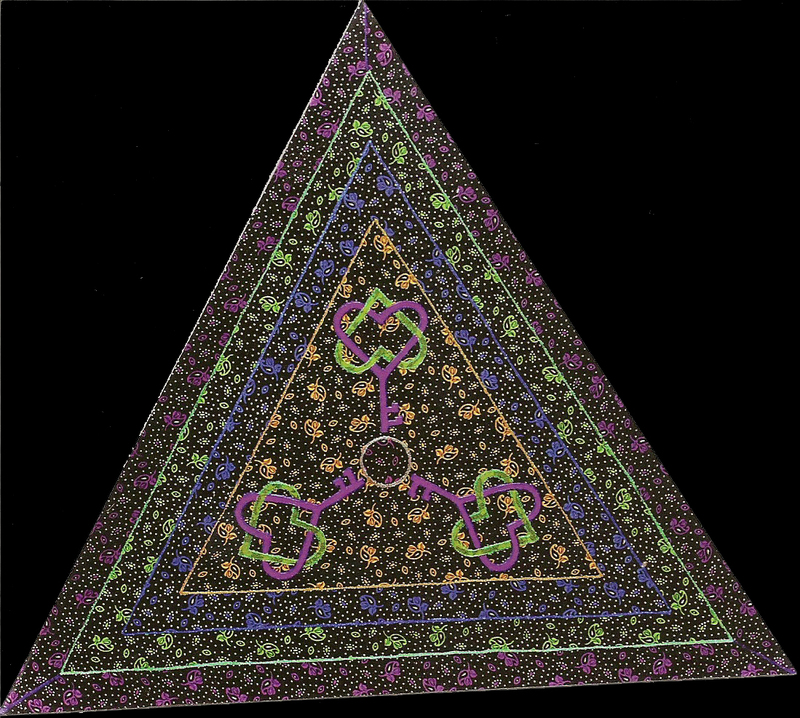 The shape allows three orientations for each card - upright, left and right (relating to the conscious, unconscious and meta-conscious). It is a limited edition of 100 and the cards came in a knitted triangular pouch.